On most weekends, I’m whipping up a quadruple batch of a favorite casserole or soup, so I’ve got enough for a few meals during the week and can also freeze some for when there’s just no time to cook. But when fall hits, I like to just take things real slow with a great crock pot recipe. 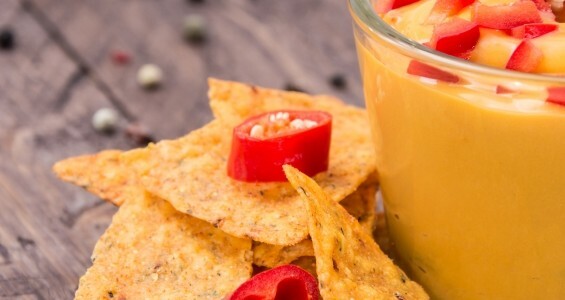 This cheesy beer-salsa dip is a great snack during Sunday football or as part of a relaxing brunch with friends. 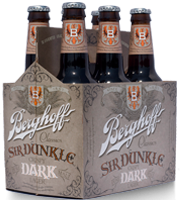 If you’re a regular reader of Baked Chicago, you know I like to experiment with new ingredients and for this recipe I’m changing up the beer with one of the new Berghoff Beer Classics: Sir Dunkle Crispy Dark Lager. This beer pairs well with the medium spice of the salsa, and the specialty malts used add a toasty, cookie and dark toffee character to the flavor. Grab a six-pack along with your favorite tortilla chips. Use (almost) one bottle for the dip and you’ve got five more to share with friends (or not). Prost! In a 4-quart slow cooker, combine the salsa and beer. Stir in the cheeses. Cover and cook on low-heat for 3 to 4 hours (or high-heat setting for 1 to 2 hours). Stir and garnish with sliced red peppers. Serve with tortilla chips or your favorite dippers.